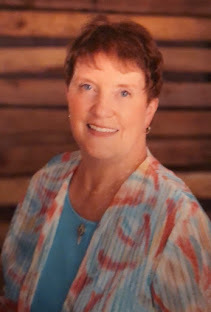 BLOGGER NOTE:There have been some great and God-directed things that have happened to me since I joined ACFW in 2010 but one of the most recent and inspiring things was when God led me to write to Fay Lamb about getting information to help in my new role as our ACFW Great Lakes Chapter Critique Coordinator. Not only was she helpful in that but was so open to having me contact her again. I did that when I 'thought' I was ready for another critique partner of my own. God had other plans at that particular time for our connection and over the course of the last six months I've come to love and appreciate Fay and her amazing gift of story telling. BECAUSE OF ME - is only the beginning to this wonderful ministry/career Fay has embarked on. I HIGHLY recommend this book to my readers/followers and I might suggest you not read it just before going to sleep if you have a tendency toward wild dreams. 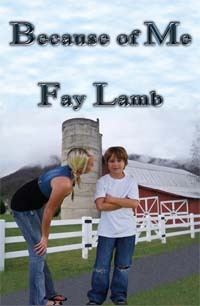 This book is not for the faint at heart as it deals with very realistic incidences and issues. But the message - oh - SO worth the reading of this great story of enduring love. May God richly bless your writing and the sales of this terrific book! 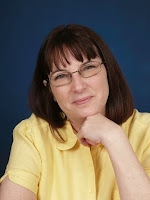 Joy: Thank you for your encouraging words, and for your review of Because of Me. You're a treasure. We all love Fay! And all her books...soon to be published, yes! Fay has some great stuff coming! Whoa, does this sound awesome! Fay has been such a sweetheart helping a newbie like me on Scribes. :) I look forward to reading her book! You do NOT want to miss out on this one - I just want to tell you - it's not a book you'll forget right away and the characterizations are compelling!